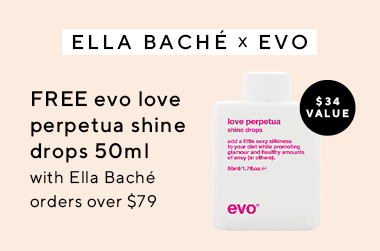 The philosophy of personalised skincare has been with Ella Baché from the very beginning. Created by Madame Baché in Paris, 1936, a revolutionary cosmetic chemist who believed just as we are genetically different, the same holds true of our skin. Her skincare philosophy was based on the belief that "because no two skins are alike", every client’s skin is uniquely individual. Her immense passion for skin care has laid the foundations for who Ella Baché are today. Ella Baché carried forward Madame Baché’s philosophy of individual skin care, to provide individual skin solutions so you get exactly what your skin needs to restore it to perfection. This is a really good cream - vey rich and hydrating! This Cream is amazing for when you skin gets that little extra dry in winter. It leaves your face glowing and feeling amazing. I love this mit, definitely one of the best ones I’ve used. It makes my tan go on easily and gives an even result. I use a foam textured tan and would definitely recommend it! I was given a voucher for a facial at my local Ella Baché salon and enjoyed the products in which was put on my face during the facial. During the treatment she used the facial wash on my face and I couldn’t help myself I had to buy it.